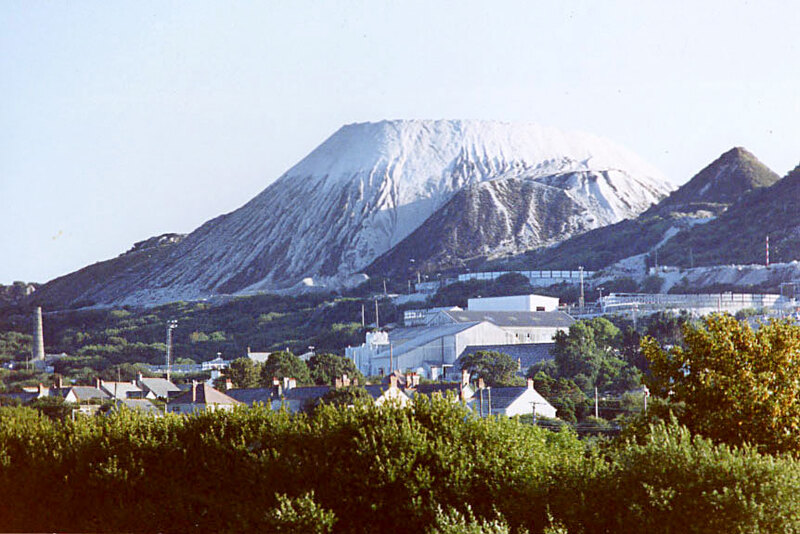 Any visitor to St Austell is likely to be struck by the impressive sharp peaks, known as the Cornish Alps, which dominate the surrounding landscape and represent the most visible part of a story that goes back two hundred and fifty years, the story of china clay. 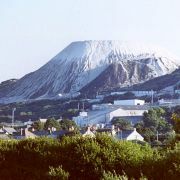 China clay, as the name suggests, is a material known as kaolin, which was first used in China more than ten thousand years ago to make fine white porcelain. Some of this eventually made it's way to Europe, where the gentry still had to make do with crude earthenware pots, and porcelain was highly sought-after. Noticing a gap in the market, a Plymouth apothecary called William Cookworthy began to research the porcelain-making process and spent several years searching for a material that resembled the kaolin that had been used for so long in China. In 1745 he eventually found it, at Tregonning Hill, near Germoe, in Cornwall, where a rare type of decomposed granite, finer than most talcum powders, arises naturally. This material was known locally as Moorstone, Growan and Growan Clay. Cookworthy found a way to seperate the material, using water to remove impurities, and then spent another twenty years developing his own recipe for making porcelain, which he succesfully patented in 1768. Cookworthy immediately established the Plymouth Porcelain Factory, and began making fine china to sell to the gentry. He also began to sell the raw material to other English potteries. By the early nineteenth century the industry was big business. 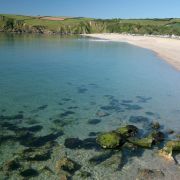 The St Austell deposits had emerged as the largest in the world, and many other uses had been found for the clay, such as in paper, paint and rubber goods. Throughout the 19th century thousands of men were employed, with harsh working conditions, either spraying the walls of open pits with high-pressure hoses to remove the clay, or processing and transporting the material, which was exported to all corners of the globe. By the mid 19th century 65,000 tonnes of china clay were being mined in the St Austell area every year by seven thousand workers. Formerly tiny villages were quickly developed to cater for the industry. 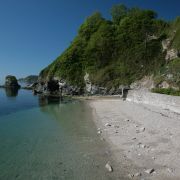 West Polmear, for example, which had a pre-china-clay population of nine, was thoroughly transformed by local landowner and entrepeneur Charles Rashleigh, who invested huge sums of money building a safe harbour for ships, and houses and factories for workers. 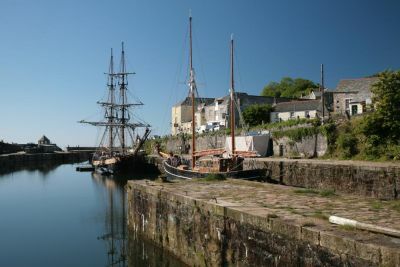 Charlestown, as it became known, soon boasted a population of three thousand, a small dock packed with ships, and harbour sheds and warehouses bustling with boatbuilders, rope menders, brick workers, lime burners and pilchard curers. 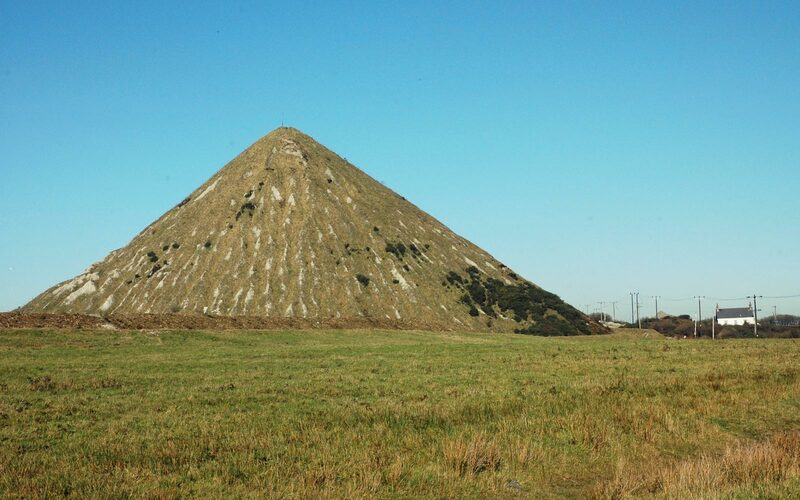 The Cornish Alps began to dominate the landscape as every ton of usable china clay that was mined brought with it five tonnes of waste. Railways and tramways were built to transport the material to the coast. 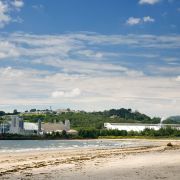 By 1910, Cornwall was producing some fifty per cent of the world's china clay, something in the region of one million tonnes every year, seventy-five percent of which was exported. In 1919 the three main producers merged, calling themselves English China Clay, which continued to dominate the market until it was bought by French company, Imerys, in 1999, for £756m. Today, the St Austell deposits, which have produced around 120 million tonnes of china clay and are good for at least aonther fifty years, have largely been abandoned. Imerys moved most of their operations to Brazil in the early part of this century and there are now fewer than two thousand employees left in Cornwall. The legacy of China Clay still defines the region, however, with even the iconic Eden Project owing it's existence to the industry, sitting, as it does, in a former china clay pit. 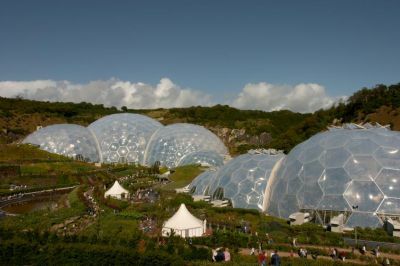 The China Clay Country Park, which consists of twenty-six acres of woodland located in the Ruddle valley, near St Austell, is home to the Wheal Martyn Heritage Museum, set in the grounds of two former working china clay pits. The museum is open every day throughout the summer and a series of clay trails have been developed by volunteers, providing access to this fascinating landscape for cyclists, walkers and horseriders. 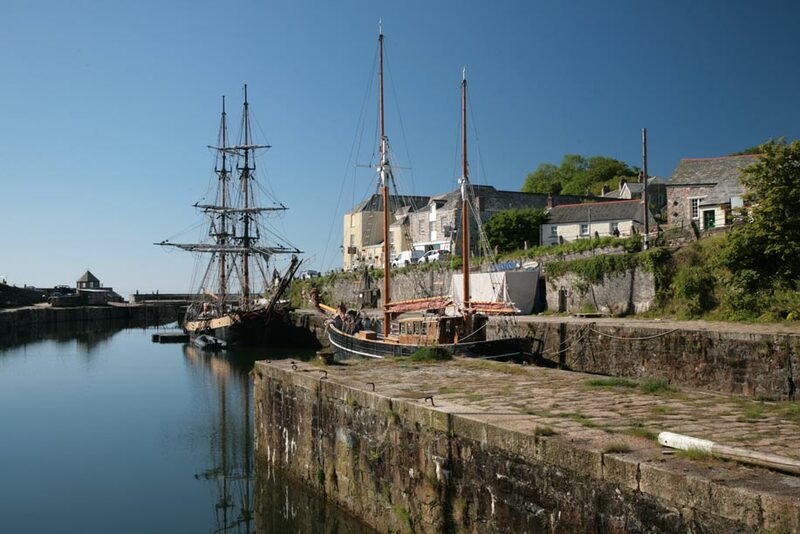 Charlestown remains virtually untouched, an achingly picturesque relic of a former time, still a working harbour, with around thirty china clay ships still docking every year. 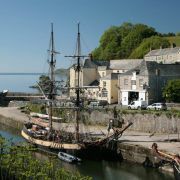 The town is also home to a fleet of famous tall ships, one of which is always moored in the harbour. Charlestown's unique Shipwreck, Rescue and Heritage Centre is located in historic china clay buildings.